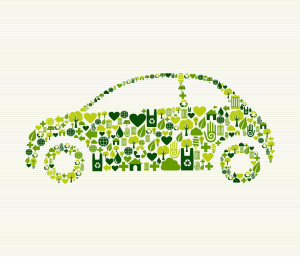 Whether your car is new or old, big or small, there are things you can do to keep it running efficiently and therefore, be more environmentally-friendly. In addition to being safer for you and your family, a well-maintained car pollutes less, so it’s safer for the environment. Together we can help protect our planet. Here are some ways in which you can be green and reduce emissions. Air filters – A filter that is clogged with dirt, dust and bugs chokes off the air and creates a “rich” mixture that causes the engine to lose power. Replacing a clogged air filter will improve your car’s performance and acceleration. Spark plugs – A dirty spark plug can cause misfiring, which wastes fuel. Have them inspected annually and replace them as per the interval outlined in your owner’s manual. Cooling system – A cooling system thermostat that causes the engine to run too cold will lower the fuel efficiency of your car. Have this system inspected to reduce emissions and protect your engine. Fuel system – If you properly maintain your car’s fuel system as recommended in your owner’s manual by replacing your car’s fuel filters and having your fuel injector flushed, your car will be greener and you’ll save money at the pump. Check your tires – Proper tire pressure can improve your gas mileage by 3.3 percent – poorly inflated tires add rolling resistance that forces your engine to work harder. The correct tire pressure for your vehicle is listed in your owner’s manual and on the information placard (typically on the edge of your door or on your door posts); not on the tire sidewall. Check your gas cap – A loose, cracked, damaged or missing gas cap allows gas to escape from your tank as a vapour. This wastes fuel and increases your car’s emissions. Getting a new cap is an easy and inexpensive way to reduce your greenhouse gas emissions and save at the pump. Use cruise control – Speeding up and slowing down uses a lot of gas. Your cruise control can help you reduce fuel consumption by maintaining a constant speed. Use it on long trips or for uninterrupted highway driving on dry roads. Be smart about air conditioning – Using your air conditioning causes your car to burn more fuel, so you should only use it when necessary. Parking in the shade and using a reflective sun shade will also help to keep your car cool, so that it takes less time to cool down once you start driving. Lighten your load – Storing unnecessary items in your car (i.e. sports equipment, an empty roof top carrier, etc.) weighs it down, forcing your engine to work harder and your car to burn more fuel. Remove anything you don’t need, except for emergency items like your spare tire and first-aid kit. Don’t speed or drive aggressively – Most cars lose fuel efficiency over 80 kilometers per hour (km/h), and you average about 10 percent fuel loss for every 10km/h over 93km/h. Aggressive driving (speeding, rapid acceleration and sudden braking) can also increase gas mileage – as much as 33 per cent on the highway and five percent on city streets. Cleaners – Some cleaning products contain harsh chemicals, so look for environmentally friendly car cleaners that you can use at home. Just remember to always use cleaners designed for use on vehicles, not dish soap or other household cleaners that can damage your finish. Reuse car parts and lubricants – Some car parts can be recycled into new ones. This includes old engines which can be re-manufactured into new, safe, and reliable engines that are covered by warranty. If you need a new part engine, or part ask your technician about re-manufactured options. Engine lubricants – These can also be recycled and re-refined. For your next oil change consider using re-refined oil rather than new oil. The only difference between the two is the amount of energy and natural resources used to make them. Recycle your used oil and filters – Used engine oil should never be poured down the drain. If you do your own oil and oil filter changes, be sure to bring your used oil to an appropriate oil recycling facility. 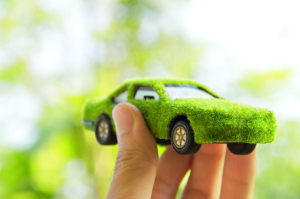 The automotive service and repair industry has been following green initiatives for years and continues to work to further reduce damage to the environment. Cleaning solvents – Some solvents contain chemicals that can harm both people and the environment. The automotive industry is working to cut back on the use of these solvents by choosing less harmful options when possible. If there is no alternative, the solvents are recycled to avoid damaging the environment. Re-refined oil – Used engine oil can be re-refined to remove contaminants and produce new lubricants that are of equal or superior quality to lubricants produced from virgin oil. Using re-refined oil helps to reduce our dependence on imported oil, reduces the depletion of natural resources, eliminates waste materials, and helps to create jobs. Re-manufactured engines – When an engine is severely damaged, highly-skilled machinists can use state-of-the-art technology to re-manufacture it into a perfectly safe, cost-effective, and warranty backed engine.The old engine is disassembled, all of its surfaces and components are machined and cleaned, and the engine is reassembled using new critical internal parts. Re-manufacturing an engine uses 80-85 per cent less energy than building a new one and cuts back on chemical waste, the use of raw materials, and labour. Each province and territory has an established environmental act with legislation to regulate the disposal of dangerous materials. In compliance with these acts, the automotive service and repair industry recycles many products, including the following. Engine oil and oil filters – In Canada, all automotive service and repair outlets are required by law to safely dispose of used engine oil and oil filters. These products are collected as part of provincial stewardship programs and the oil is either sold as combustible fuel for power plants and heating or re-refined into engine oil, a process that takes 85 per cent less energy than refining crude oil. Car batteries – Car batteries typically need to be replaced every three years, and when they are, the old one is recycled. More than 95% of your old automotive battery can be recycled and reused for a number of different products, including new automotive batteries. Even old battery acid can be turned into chemicals used in products such as laundry detergent and glass. Refrigerant –The automotive service and repair industry has been recovering and recycling air conditioning refrigerant for more than 20 years to reduce greenhouse gases. The industry is also currently working on finding refrigerant alternatives to reduce environmental damage. Scrap metal – Scrap metal from old parts and vehicles can be recycled too.The energy saved by recycling one tonne of aluminum is equal to the amount of energy used to power the average home for a decade!